Pelosi Has Traveled to Mexico City-Twice! So, what was America’s biggest Mafia Princess doing in Mexico City? Actually she has been there twice. 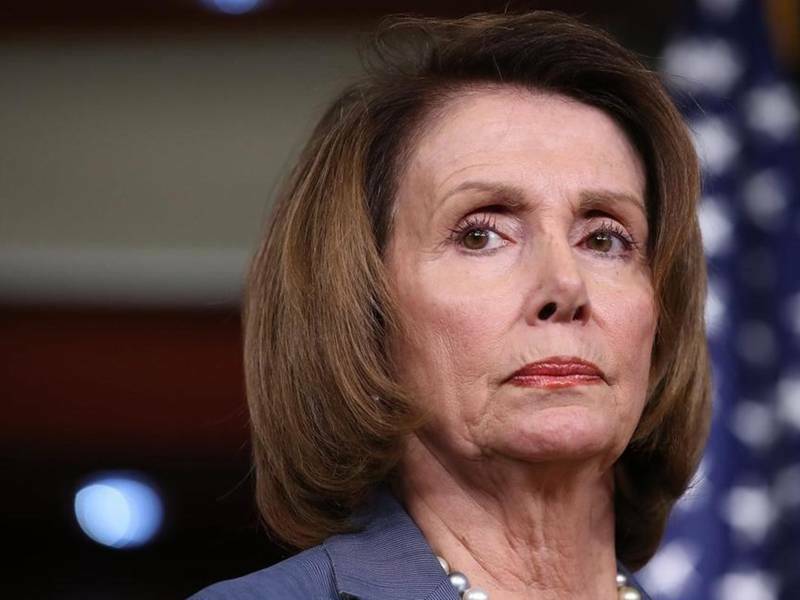 It is apparent to some that Pelosi is coordinating her domestic agenda with that of these planned incursions of the migrant caravans. These event certainly point to the fact that Pelosi and the current Mexican President are on board with this plan. Mexican authorities sent warning to FBI that Los Zetas terror teams are receiving Cuban arms like mortars, explosives, long range sniper rifles, and large caliber tripod mounted machine guns to launch cross border attacks. Several Mexican Army Humvees were stolen last week and are on local garages having extra armor welded on. Be interesting to see if Laredo FBI even bother to alert local authorities. Since the immigration wars area product of the Axis of Unity, it makes perfect sense that Cuba has involvement on our border to the detriment of the American people. Interesting, that last night Fox News covered this sector in their news. Fox is reporting that this sector is under the cartel command of a man wanted in the US for attacking US citizens at a consulate. This area was being highlighted in the report as being an area where a wall is needed. By all accounts, it is interesting to note that these developments are developing into an all too familiar pattern. These guerrilla forces are planning to use the fleeing refugees who will be storming our border as cover to carry out paramilitary operations inside the United States. Many are aware of this plot. Dave, You have written extensively about a Red Dawn force. You are going to look like a prophet. This is not a direct land invasion, because what you speak of is covert. Stick with Laredo, this is only but one of the incursion sites for these planned paramilitary forces. There will be several incursion points from the various intelligence we are getting. I remember a piece you wrote about a Texas Ranger who tipped you on planned paramilitary attacks against small towns and their police forces. I believe you wrote about this about 4-5 years ago. This will soon become a reality. This is why the President put the troops on the border. There is a CALEXIT connection as well. Calexit’s participants included George Soros, ex-California Governor Jerry Brown, former Attorney General and present Presidential candidate Kamala Harris, the Mexican consulate, various drug cartels, ISIS, The Bank of China, factions of the Chinese government, ex-Obama administration officials such as Eric Holder and the United nations among others. Calexit was a separatist movement designed to place the State under the control of the UN. The desired effect would be to cause a severe economic decline in the rest of the country. California is responsible for 13% of all agriculture in the US and a higher number in retail. Civil disruption will be at its highest peak in California. This story is a work in process. It is clear that the Calexit movement has fizzled but it remnants are still very dangerous to border security. I am satisfied that the Axis of Unity is indeed in charge of invading the US with forced immigration and the implantation of 5th column forces. The forces of Calexit, the Axis of Unity from which these attacks are coordinated. I am satisfied that Pelosi is coordinating these events with her domestic agenda. There is much more to come on this story.